Unwanted guests are never fun, especially when you can’t ask them to leave. Luckily, Saraland pest control companies have no problem kicking them out. Whether there’s a rodent in your basement or insects in the attic, call your local Saraland exterminator to take care of them — do not try to wrangle them out yourself! Not sure which type of home pest control service in Saraland, AL can tackle your issue? 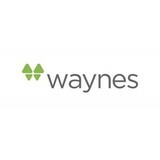 Read profiles and ask about their past experiences to get a good idea. 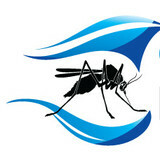 Coastal Mosquito & Pest, LLC helps control pesky, disease carrying mosquitoes in your yard, and helps control other annoying pests inside your home. Nobody likes an uninvited guest. Especially a pest. Bugs are bad, rodents are worse, and they're equally hard to get rid of. Our enviropest solution protects you from ants, roaches, spiders, fleas, rodents, ticks, centipedes, millipedes, and much more! We treat around the exterior of your home quarterly and as-needed so you stay pest-free year round! Our termite protection features the Sentricon System with AlwaysActive technology. We are available to you 24 hours a day, 365 days a year. 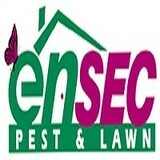 Ensec Pest & Lawn provides same day pest control service and extermination from Mobile, AL to Panama City, FL. Our commitment to quality has earned EnSec the trust of thousands of customers. We are A+ Rated on the BBB and are family owned and operated. The Bond Pest Control Team has over 40 years of combined experience in servicing customers in the Pest Control Industry. Bond Pest Control LLC is licensed, insured and bonded and prepared to service your account with the latest, state of the art equipment from Temp Air. Thermal Remediation is proven to be safe, effective, environmentally friendly, and the most economical way to treat bed bug infestations.